A soothing and refreshing afternoon tea break in Tokyo is always paired with a complimentary sweet. 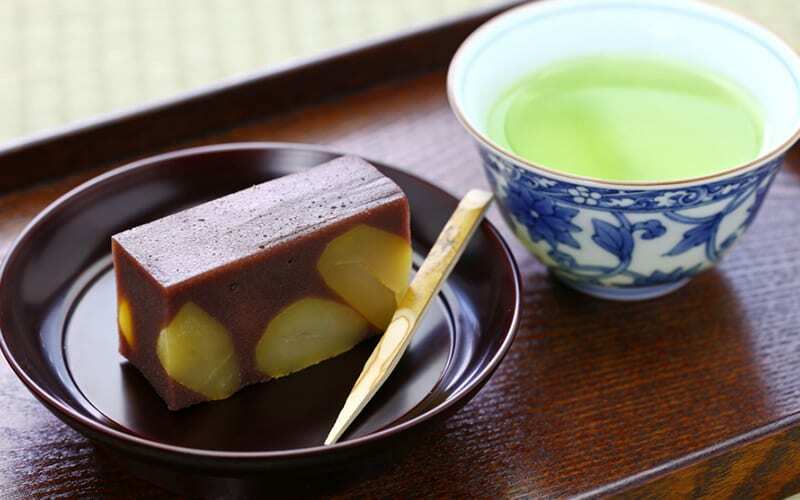 In a Docomo survey, 3,359 people voted on their favorite Japanese sweets to pair with their green. We’ve compiled the top 15 results. 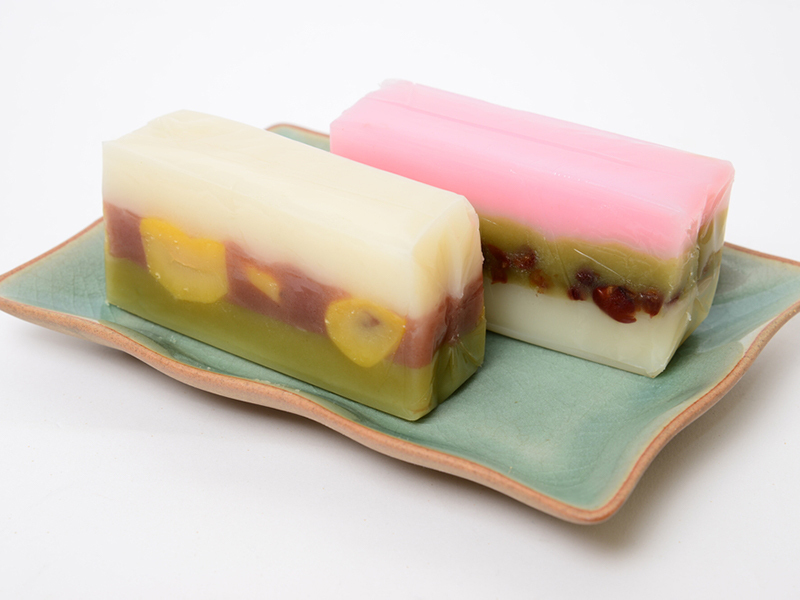 Sold in solid blocks that look like bricks, yokan is a compact jellied dessert made using adzuki bean paste, agar-agar and sugar. It’s a popular go-to souvenir as it keeps for a long time without refrigeration (as long as it stays unopened). 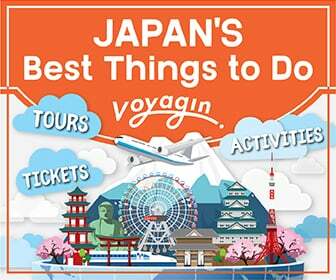 Yokan is touted as a good snack to bring hiking and to pop into your disaster prevention kit both because of its long keep time, it’s easy to eat on the go and because of its high sugar content. The word yokan is composed of the characters for sheep (羊) and hot soup (羹), which at first glance seems to have nothing to do with this sweet dessert. The original yokan, brought over from China, made use of sheep gelatin, but zen Buddhist priests who wanted yokan as a snack between meals replaced the gelatin with wheat flour and adzuki beans, making it vegetarian and vegan-friendly. Once agar was discovered it replaced the flour, making it the yokan we know and love today. This sweet treat balances well with the bitterness of green tea and is a favorite among older peeps. 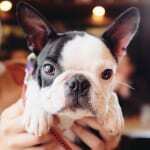 Yokan comes in two basic types: neri yokan and mizu yokan. The latter has less agar, giving it a softer and more liquid texture and is often served chilled in summer. Yokan is often filled with dried fruits or nuts, the most common being persimmon, chestnuts (pictured below), figs and sweet potato. Generally comes in the form of a dome shape, with bready wheat flour dough encasing adzuki beans and then either steamed or gilled, and occasionally deep-fried. Composed of the characters for beam-jam dumpling (饅) and head (頭), manju was first named mantou when it was brought over from China in the 1300s. As it gained popularity, its name shifted to nara-manju, as Nara was considered the birthplace of the treat — or at least its version in Japan. Other kanji for manju include: 万十, 万頭, and 慢頭. Almost every region in Japan seems to have its own distinct version of manju. 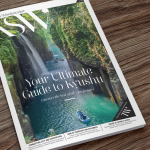 The most famous are the three great manju: sukawa manju (a thin-skinned manju from Fukushima Prefecture), shiose manju (a favorite of Ieyasu Tokugawa’s based in Tokyo Prefecture), and ohte manju (a creamy confectionery from Okayama Prefecture). 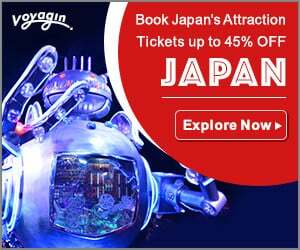 The onsen manju is claimed to originate from Ikaho Onsen in Gunma, while Tokyo’s Akihabara area boasts the deep-fried agemanju, and Asakusa’s ningoyaki offers a variety of shapes. 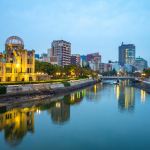 But one of the most recognizable types may be the momiji manju from Hiroshima (pictured below). A small round mochi sweet with an adzuki bean filling, the daifuku is a popular way of making rice flour a little sweeter. Daifuku was originally named うずらもち (meaning quail mochi), rather gruesomely describing its shape as it’s similar to a quail’s stomach. It was also known harabutomochi (腹太もち) as a reference to the birds’ big round tummies when they fluff their feathers in winter. During the Edo period, the mochi changed its name to daifukumochi (大腹餅), keeping the same meaning, which eventually evolved into the modern daifuku (大福) meaning good luck as it had a better connotation. 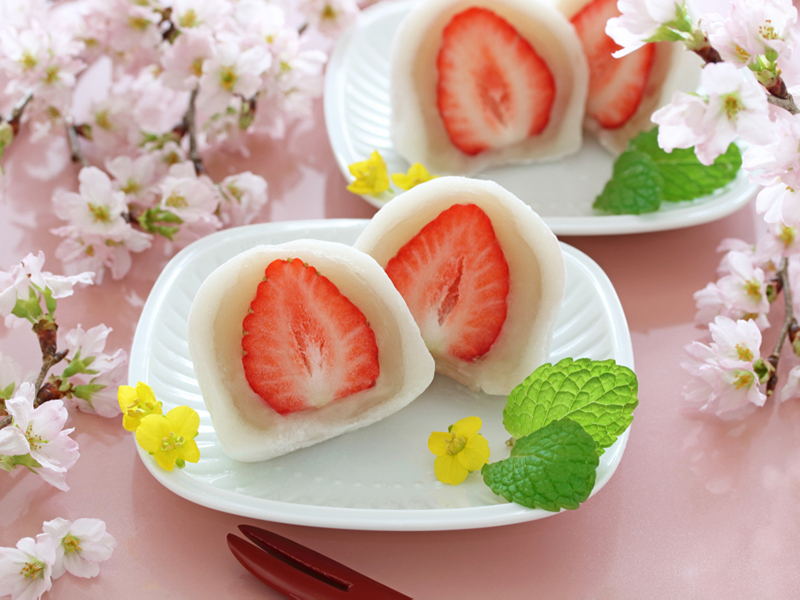 The traditional version often uses only adzuki beans and mochi, but this delicious treat has several different incarnations, the ichigo daifuku being one of the most popular during strawberry season. The acidic flavor of the strawberry cuts the sweetness, making it the perfect afternoon treat. 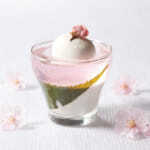 Other varieties include yomogi daifuku, mame daifuku and mochi with even custard and pudding centers. 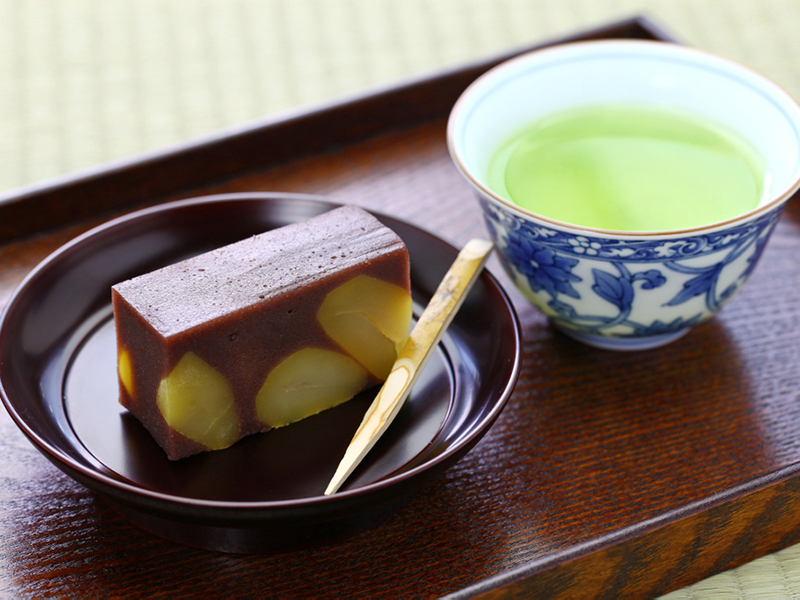 Watch any old drama series or anime set in the Edo period and this classic tea shop treat will appear. Although it’s a popular sit-down snack, its nifty stick format makes it a handy on-the-go sugar rush as well. 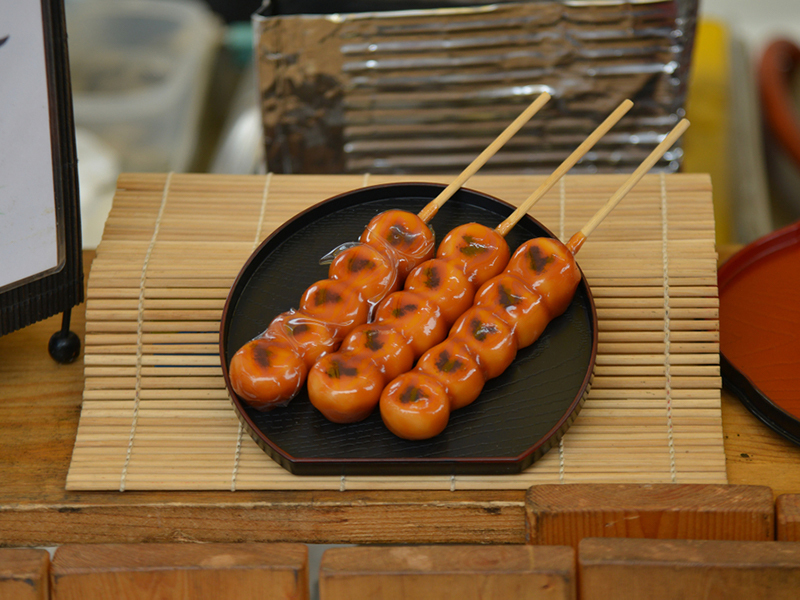 Delicious dango comes in many forms, but its base is a group of round balls of chewy mochi with a sauce dipped into or drizzled on or brushed on. Snuck over from Tang Dynasty China, these delicious mochi dumplings were first known as 団喜 (danki), then changed to the more literal (団粉 danko). Since the small balls of mochi were considered cute, the named transformed to 団子, but was read as dansu or even danshi from the late Kamakura period onwards. It’s only in recent times that the reading changed to the dango we know and love. The main differences between dango types are the sauces (mitarashi, a soy sauce mixture, is one of the most popular) used and sizes available. 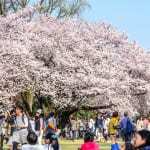 Colorful green, white and pink sets blossom forth in time for sakura season. Available as both a sweet and savory snack, senbei is a classic crunchy cracker loved by people of all ages. Savory senbei is generally made from rice flour and baked or grilled over a charcoal fire. It’s a simple snack often served in a casual setting. 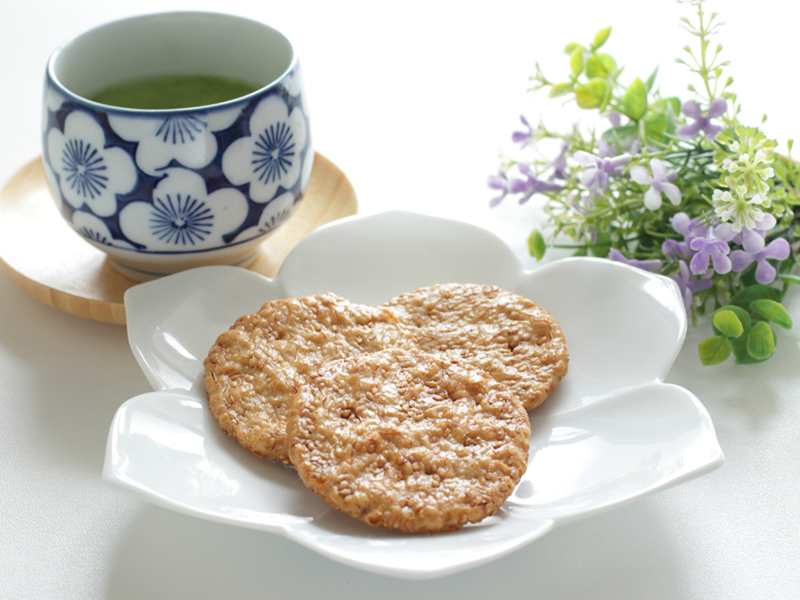 Sweet senbei, which has origins that can be traced back to Tang dynasty China, often uses wheat or potato flour. As for its character makeup, senbei is pretty literal: 煎餅 means roasted mochi/rice cake. 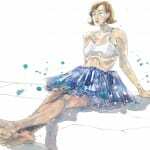 Senbei comes in many forms: from the simple soy sauce and mirin-brushed rice flour cracker to the pungent ebi senbei, sometimes boasting whole freeze-dried shrimp, to sweet senbei, which is another creature altogether. A favorite of the beloved robotic cat from the future Doraemon, this treat consists of adzuki bean paste pressed between two pancakes. Usually written mostly in hiragana (どら焼き), the sweet is partly named for its shape. The dora (銅鑼) in dorayaki refers to a metal gong, which it is said to look like, but that could be debated. The yaki, as with yakitori, sukiyaki, yakisoba, yakiniku, and all other yaki prefixes or suffixes, indicates the sweet has been cooked or heated (especially in a pan). 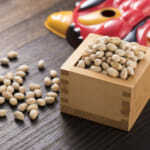 Shiroan (white bean) and adzuki (both smooth and crushed bean variations) are the most typical options available. Ohagi is basically made of balls of glutinous rice, with adzuki bean paste packed around it by hand. Ohagi is generally written either entirely in hiragana, or with only the “hagi” part as kanji. 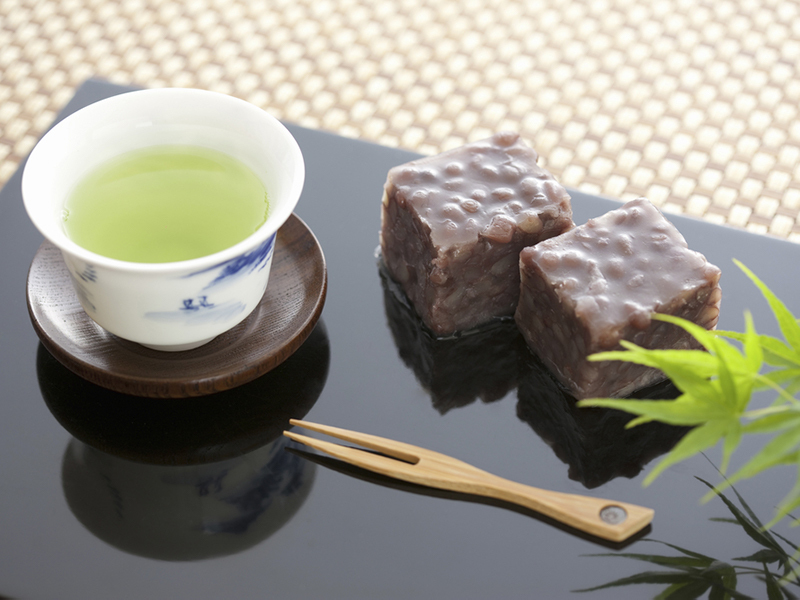 The name ohagi comes from hagi no mochi, which originated from the secret language of court ladies. Hagi is a bush clover that blooms in autumn — the court ladies thought the purple sweet was similar to bush clover in bloom. A close relative to ohagi, botamochi is essentially the same thing, but is served in spring instead (when 牡丹/botan/peonies bloom). 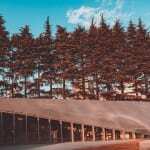 Despite ongoing debate about their differences, the season they are served is the main divergence, as both can be served in a number of ways. Usually, the main variations include wrapping the rice in either smooth adzuki bean paste (koshian) or grainy adzuki bean paste (tsubuan), or rolling it in kinako (soybean powder). 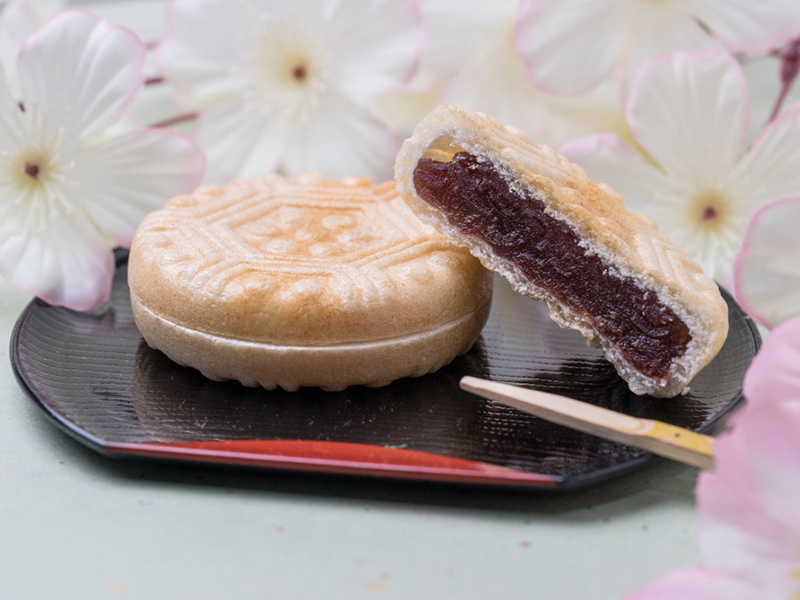 Monaka has a papery exterior made using glutinous rice and is filled with — you guessed it — adzuki bean paste. A confectionery shop Takemura Issei in the redlight district of Yoshiwara in old Edo is purported to be the origin of the name of this snack, which started as a senbei and fully named monaka no tsuki (最中の月), meaning the full moon. It was eventually shortened to monaka, and appropriated for the bean-filled sweet we know today. 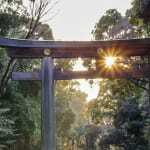 Though 最中 is usually read saichu (meaning “the height of, or in the middle of”), the reading “monaka” for the full moon may have been taken from a Heian period collection of poems, where one piece used that expression to describe the harvest moon. 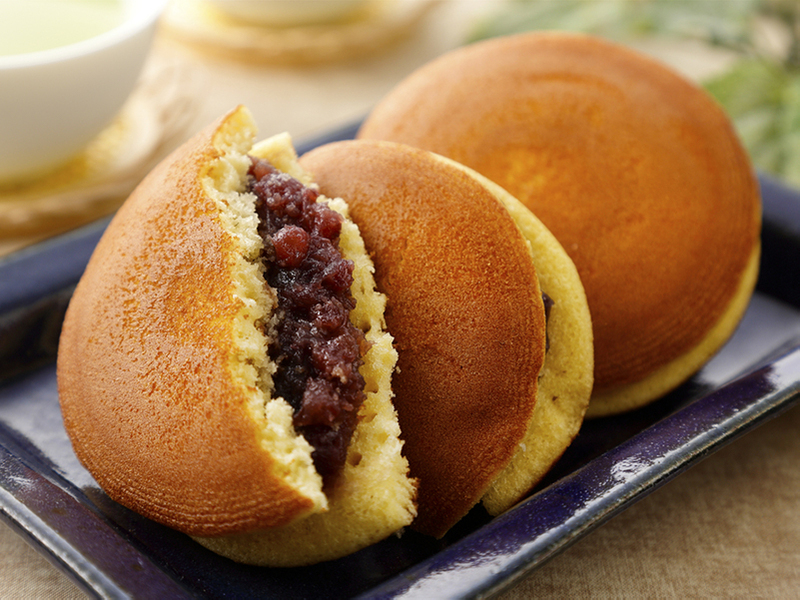 As with dorayaki, the most typical fillings are either adzuki bean paste or shiroan. 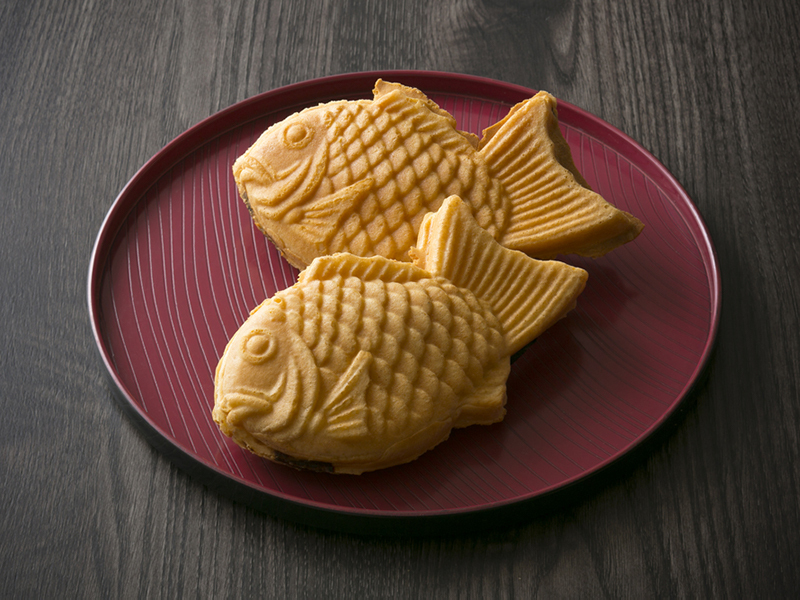 A popular street food at festivals, this fish-shaped cake with a filling hails from the Meiji period but is similar to an older cylindrical cake called imagawayaki that originated in the Edo period. Basically made using a batter similar to that for pancakes or waffles, the most common filling is adzuki bean paste, but there is a range of amazing flavors available (see below). 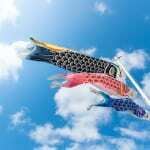 Though there is a full kanji version (鯛焼き), taiyaki is often written in a combination of hiragana and kanji (たい焼き). The name is pretty literal, as tai is Japanese for sea bream, the fish that the cake is supposed to look like. Delicious piping hot from street vendors, this fish-shaped cake also often comes in flavors like chocolate cream, custard, and even cheese. 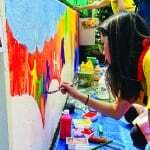 Many vendors offer seasonal selections such as strawberry, melon, chestnut and more. There are even full-on ice cream sundae-like ones and those with multiple savory fillings like sausage and egg. Kinstuba is a mixture of flour and adzuki beans that is then dipped in an egg batter and usually fried. These days it’s most often seen in a cube or cuboid shape, but cylindrical versions also exist. Usually written in hiragana (きんつば), kintsuba is actually short for kintsubayaki, named so because of its frying cooking method. The sweet gained recognition in Osaka in the Edo period, then originally named gintsuba (銀鍔 – literally silver sword guard) because its shape and color were reminiscent of a metal sword guard. As time passed and glutinous rice flour was replaced with wheat flour, it was renamed to kintsuba (gold sword guard) as it conveyed a more positive and valuable image. Apart from shape differences, flavor variations most commonly include sweet potato or a combination of sweet potato and adzuki bean paste. This chewy delight uses bracken starch instead of glutinous rice, which sets it apart from traditional, or “true” mochi. 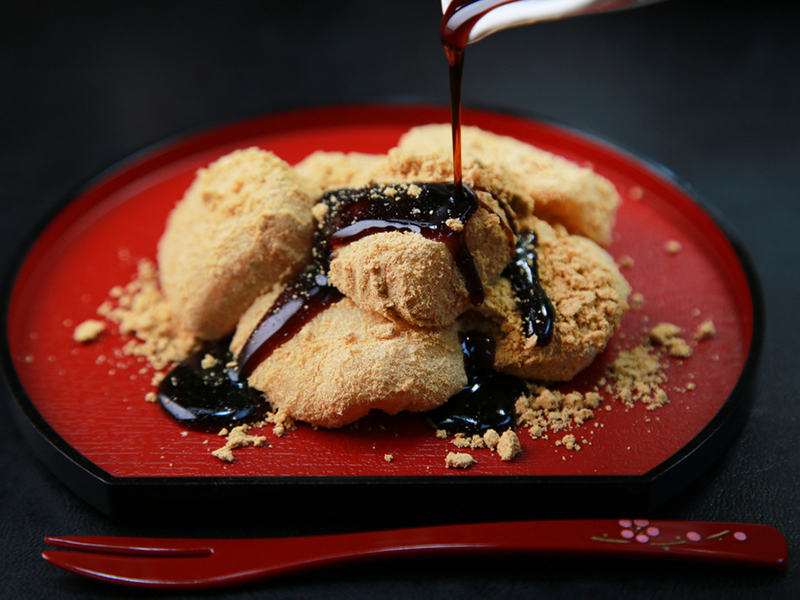 It is typically covered in kinako (toasted soybean flour) powder and accompanied with kuromitsu (brown sugar syrup) to either dip the mochi in or to pour on top of it. 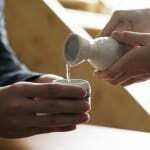 It’s especially popular in Kansai and Okinawa, and goes well with a variety of teas. 蕨餅 (warabi mochi) is literally bracken mochi, its ingredients giving the treat its name. 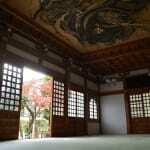 The word is generally written with warabi in hiragana, and mochi in kanji. 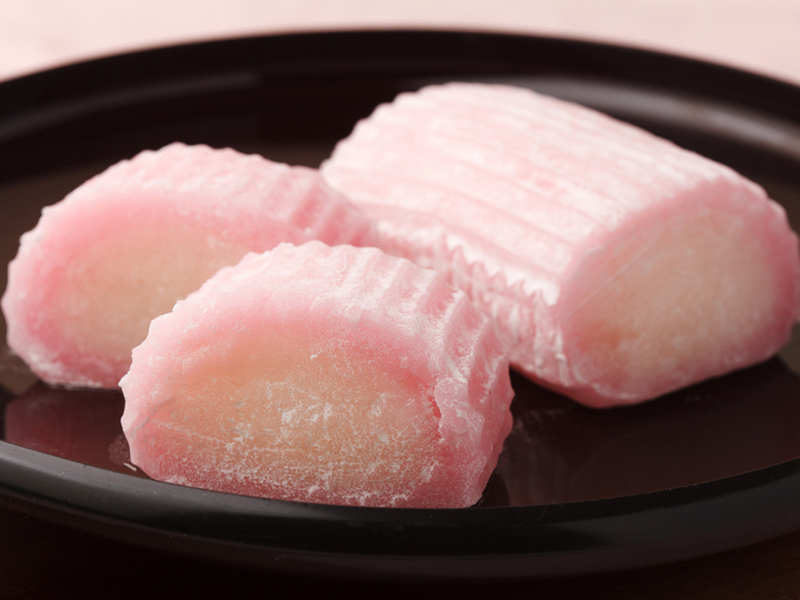 The most common differences between warabi mochi types are in the powder and sauces, though strawberry milk and ramune-flavored warabi mochi can also be found. Modern versions may be covered in a sprinkling of chocolate, matcha powder or served with sesame. Uiro looks similar to yokan and is sometimes mistaken for it. Unlike yokan, which is made using agar-agar, it is a composite of rice, wheat and other flours and red bean paste that are mixed together and steamed. This means uiro is more heat resistant than yokan, which melts and loses its form in higher temperatures. 外郎 (uiro) takes its name from a traditional decongestant and stomach medicine as it looks very similar in shape and color. It’s thought that the sweet was first prepared to take along with the pills to balance out its bitterness. 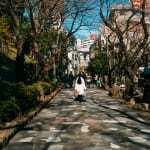 The medicine, in turn, takes its name from a Chinese bureaucrat who brought the treatment to Japan during the Muromachi period. Uiro is sometimes referred to as uiromochi because of its mochi mochi (chewy) consistency — especially in comparison with yokan. The uiro sweet is popular in Yamaguchi and Odawara, and you can still find the traditional Chinese medicine version in Odawara today. 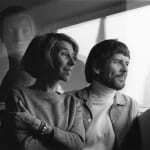 Though it normally comes in plain colors like white, brown and green, occasionally it will feature all three, or a mixture of other colors and added flavors. 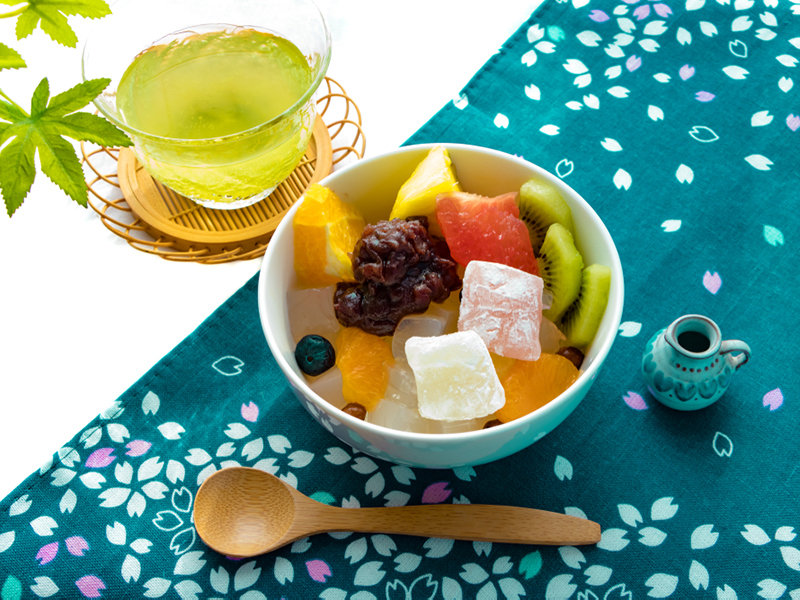 A traditional summer treat featuring agar-agar jellies served with red bean paste on top, often accompanied by a variety of fruits (peach slices, red cherries, etc). Kuromitsu (brown sugar syrup) is an optional addition served on the side to be poured on top. 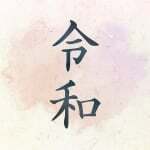 Most commonly written in hiragana (あんみつ), anmitsu is rarely written in its kanji form, 餡蜜. The characters simply mean red bean and nectar, giving an overall image of the treat’s contents. 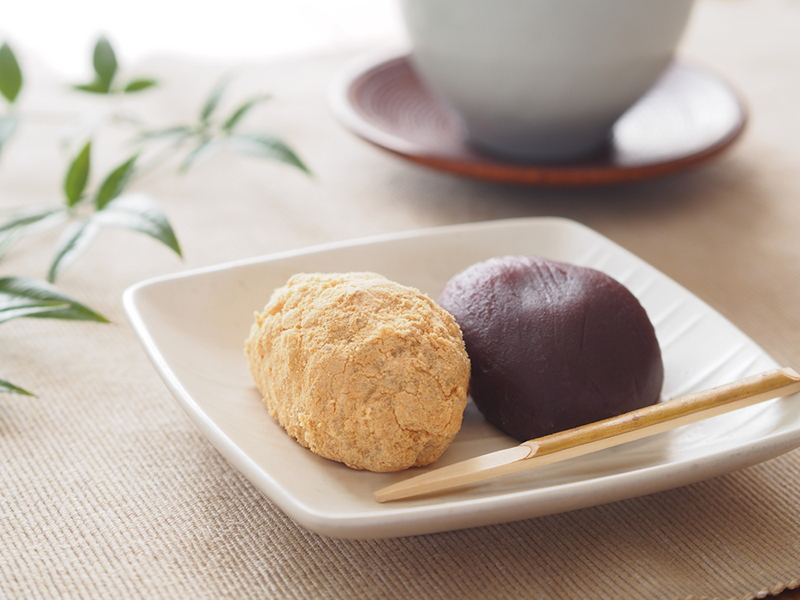 Anmitsu is often served in a variety of formats, with shiratama (dango mochi balls), and/or with ice cream. 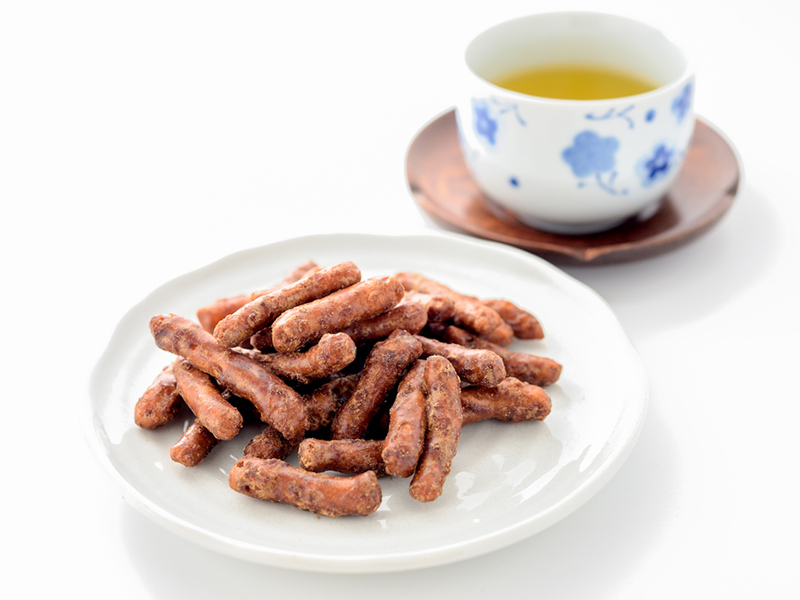 Karinto are brown, crunchy doughnut sticks made with flour, yeast and brown sugar. They usually come in bite-sized pieces and are a popular snack esepcially in Kyushu and Okinawa. Karinto’s origins are still contested, with some saying they are from Portugal, others claiming they are from China. Karinto is most commonly written in hiragana (かりんとう), in part because its kanji characters are made up of ateji (characters used to create a specific phonetic sound with little or no meaning related to the original word). The characters literally mean flower, grove and sugar, which creates an attractive image, but not a meaningful one. These days both sweet and savory karinto are popular. 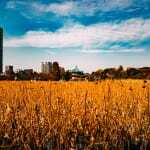 Flavors like matcha, sesame, peanut, hot pepper and more can be found all over the country. Also known as “poor man’s mochi” (貧乏餅), this simple sweet uses only four ingredients: glutinous rice flour, water and food coloring. It’s more popular in Kanto than in Kansai, where commenters claim it looks suspiciously like kamaboko (fish paste cakes). The pink and white color combo is supposed to represent auspicious red and white, similar to chitose ame candies given to children for their shichi-go-san festivities. Suama is usually written in hiragana. Its characters, su (寿) and ama (甘) mean celebration and sweet, respectively. 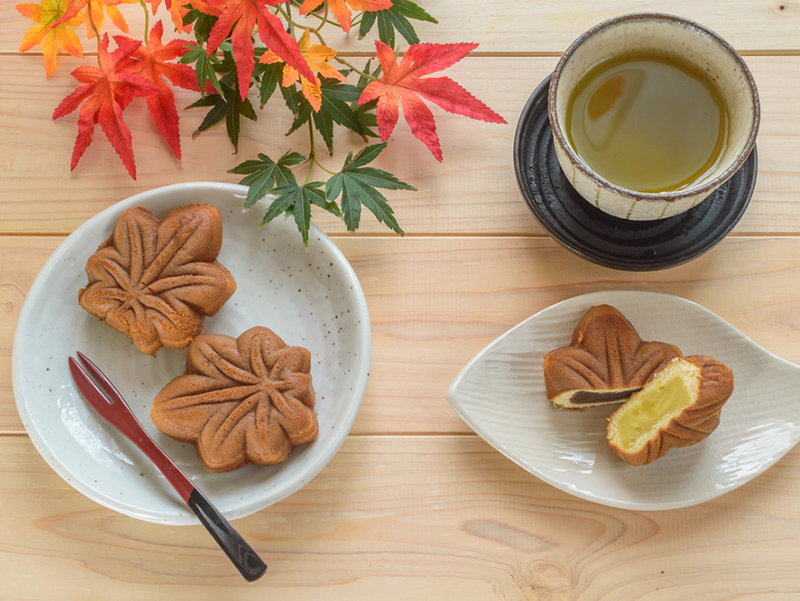 Known for its simplicity, this is one of the few Japanese traditional sweets without any widespread variations. What’s your favorite green tea pairing? Let us know in the comments! 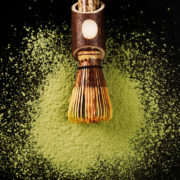 Tea Trivia: So You Thought Matcha Originated in Japan?